No, it's not a shower. Here's everything you need to know about how to plan this pre-wedding event. Before you started attending weddings and became engaged yourself, you probably had no idea that wedding itself was just one of a number of events leading up to the big day. 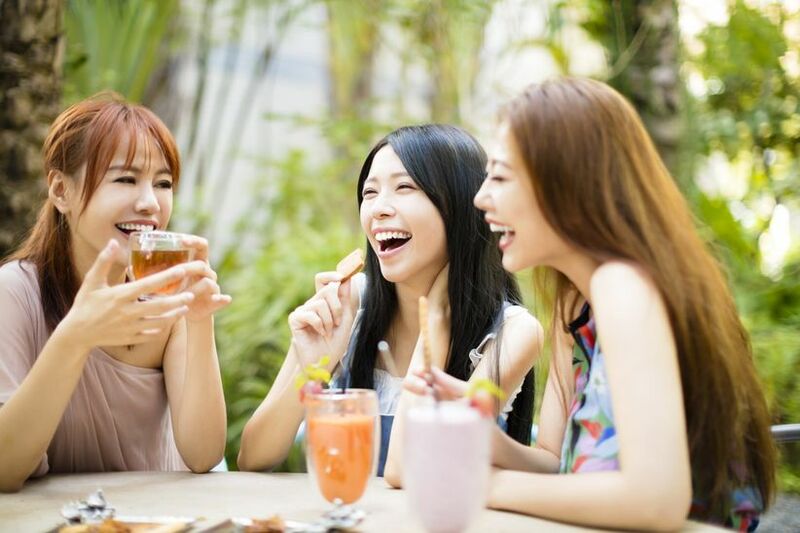 Of course, you have your wedding shower, bachelorette party, rehearsal dinner and the main event—the wedding—but more and more brides are adding yet another get-together to the celebration. It’s called a bridesmaid luncheon and it’s typically one of the last girls-only gatherings before the wedding. 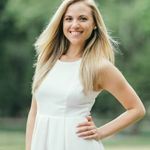 According to Lindsey Sachs of COLLECTIVE/by Sachs in Boulder, Colorado and Minneapolis, this kind of an event serves as a way for the bride to thank those involved in helping her with wedding planning. “Because you have your favorite women together in one place, this special luncheon will be an event to remember and due to its intimate nature, provides a prime opportunity to share in true quality time before the main wedding festivities set in,” she says. 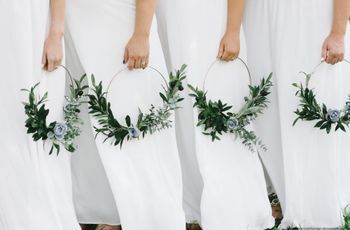 You might be thinking this sounds a bit similar to a traditional wedding shower, however, Sachs points out that a bridesmaid luncheon is different in the sense that it’s not centered on the bride. Instead, it’s centered on the women in the bride’s life who’ve supported her through the years, and, specifically, through the wedding-planning process. In case you’re considering hosting a bridesmaid luncheon of your own, here’s how wedding planners say it should go down. When in the wedding-planning timeline should you have a bridesmaid luncheon? Who gets invited to a bridesmaid luncheon? What kind of venue should you choose for your bridesmaid luncheon? “Depending on the vibe you’re dreaming of, there are many exciting choices starting with a restaurant!” says Sachs. “Consider your desired ambiance—a chef’s table at your favorite restaurant or a restaurant with a view.” Sachs also suggests treating your bridesmaids to morning mimosas and pedicures, or hosting your celebration in a private home with a personal chef. What activities should you do at a bridesmaid luncheon? 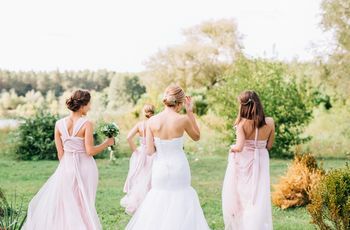 Again, this one’s really up to you, but Deb Erb of Simply Events Inc. in Lititz, Pennsylvania, says most bridesmaid luncheons involve a light lunch and refreshments and mingling. 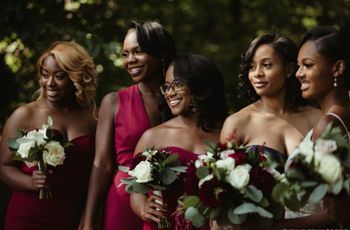 “Oftentimes the bride will hand out gifts to her bridesmaids, mother and mother-in-law as a thank you for being part of this special time in her life,” she says. Traditionally, there is also a cake. “The cake is usually pink and baked with a ring or trinket inside—the bridesmaid that gets a piece of cake with a special surprise, supposedly will be the next to wed,” she adds. Do: Focus on the details. Because this is a more intimate event, Sachs says it is easier to pull off the Pinterest-worthy ideas you couldn’t for your wedding. “Consider handwritten name cards on decorative stands, printed customized menus, party favors, decadent desserts and more!”she adds. Remember the purpose of this gathering—to thank those closest to you. In other words, you shouldn’t be inviting every single female whom you’re inviting to your wedding. “Of course, who you invite is entirely to your discretion, but a good way to draw the line is to consider who has played an active role in helping you with wedding planning and those who will be part of your ceremony,” says Sachs. Consider this event your opportunity to give back to the close friends and family members who spent time, energy and love on making your upcoming nuptials so special. For this reason, Sachs suggests making things as personal as possible. “Customize the menu to feature some of your group’s favorites, consider a surprise course within the meal, pre-select favorite wines for the table and be sure to prepare your thank you speech in advance so you’re well rehearsed and genuine when sharing your words of gratitude,” she says. While it sounds fun, remember that the bridesmaid luncheon is optional event that, chances are, your bridesmaids aren’t even expecting. “If you’re feeling under the gun and also tight on time and money, consider other special ways you can thank those helping you to plan the wedding,” says Sachs. This traditional bridesmaid luncheon activity is not one to be skipped over. “The cake is often baked with a hidden trinket - a coin, thimble or ring. Whoever finds the ring in their piece of cake is said to be ‘blessed in affairs of the heart’ and may be the next to wed,” says Sachs. “Others will opt for a grouping of charms on ribbons that are baked into the cake, which can be color-coded to apply to single, dating or married women with corresponding fortunes attached. 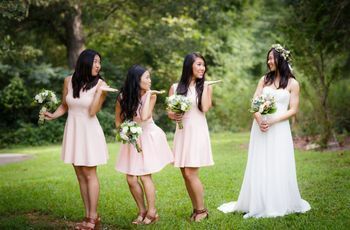 Each bridesmaid will pull a charm before the cake is cut and read their fortune out loud.” If you're not hosting a bridesmaid luncheon this is also a fun game to play at a bridal shower!